Do you want to win $50,000? Do you own a Xiaomi smartphone? If the answer of any of these question is Yes, then you can participate in Xiaomi Photography Challenge 2018. By participating in Xiaomi Photography Challenge 2018, you can win cash prize is US dollars. If this sounds lucrative, then it is time to disclose the facts, terms and how you can win $50,000 by participating in Xiaomi Photography Challenge 2018. What is Xiaomi Photography Challenge 2018? Xiaomi Photography Challenge 2018 is a photography contest open for all. Xiaomi is the brand behind this contest. This is the contest where participants have to submit the photograph to participate. The contest is already live from October 25, 2018. If you do not have Xiaomi smartphone, then you should participate in eAskme Xiaomi Smartphone Giveaway and you can win a MI Smartphone absolutely free. 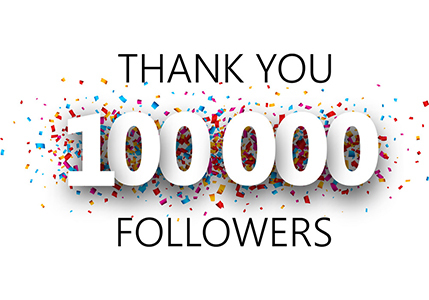 Winners will be announced on 7th December 2018. How to participate in Xiaomi Photography Challenge 2018? To participate in this contest, you must use the Xiaomi Smartphone. Winners will be decided by global voting. You must submit the photos using Xiaomi Smartphone. You can use any Xiaomi Smartphone. You must use the link to submit photos. Your photos must have at least 3 likes to qualify for Xiaomi Photography Challenge 2018. During the period of 23rd November to 26th, November 2018 selectors will review the photos and choose the 25 finalists in each category. People keep on voting till 6th December, 2018. This is the contest in which every smartphone lover want to participate. 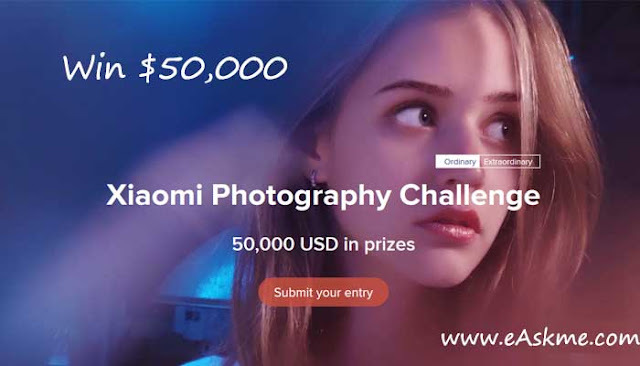 Xiaomi Photography Challenge 2018 is the contest where Xiaomi brand offers you a chance to win $50000 USD. If you do not have Xiaomi smartphone, don't worry! eAskme is here to help you. Participate in eAskme Xiaomi Smartphone Giveaway and you can win a MI Smartphone absolutely free.